Estonia: Elina Born & Stig Rästa wins Eesti Laul with "Goodbye to Yesterday"
It might have been another Super Saturday, but Estonia’s Eurovision decision was perhaps the most eagerly anticipated part of it. Ten acts took part in the first part of the Eesti Laul final, before a jury and televote brought it down to just three for the superfinal. In the end, Elina Born & Stig Rästa won the Estonian ticket to Vienna with “Goodbye to Yesterday”. It was a landslide: they earned 79% of the vote! What do you think of the results? Did the best act win Eesti Laul? Do you think Estonia has a strong shot of making the final? Leave your comment in the box! Follow all of our Estonia Eurovision news here. Estonia’s song just got a music video!! Well now this is a stunner. I love everything about it – the voices go together well, it has a nice pace, the lyrics aren’t nonsensical, it isn’t screamy, it’s pretty damn close to perfect imo. Well done, Estonia. This one is so charming… The best song for Estonia, on the lead to win ESC… until now. I really enjoy the song, I can buy it and put it on my mp3 playlist…. This it the favorite to win??? I don’t hear the similarities with The Common Linnets. If anything, the chorus reminded me of a song from 2010 which shall remain nameless (but it’s highly doubtful that anyone would try to imitate that). Love The Common Linettes but except the fact they are both duets I don’t see the similarity. This is more vintage and is more similar to Vile Valo and Natalia Avalon with their “Summer Wine”, while The Common Linettes were more country. Love this song! So happy that they won, and I think they are going to do well in Vienna! Comparing GTY and CATS is the biggest BS ever. I never knew The Common Linnets buyed the right to be the only country duet on Eurovision for ever. At least Estonia got their choice right! Can’t wait to see this in May. @ify_: But keep in mind that they aren’t competing against the Common Linnets. Whether they place #1 as opposed to #2 in this competition has little to do with CL. if they will end up higher than the common linnets I’ll freak out, just saying… for me the common linnets are better anyway. A very good, well performed song with really smart staging. Deserves to be at least top 5 in Eurovision and I hope it will happen. Still cannot believe that my favourite won in Eesti Laul. 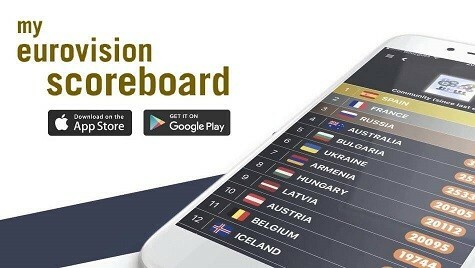 The question is, will Georgia still win the poll after Estonia, Italy, Lithuania and Latvia are added? But I like Goodbye to Yesterday a lot, #3 for me atm after Switzerland and Lithuania. Tallin 2016? no matter what, It’s already an eurofan’s classic song. And that it’s not easy. Just wonderful, for those who have got tickets for vienna it’s gonna be worth it after these results. And the 12 points from spain goes to… SSSS Estonia! @Mico, no way the lyrics make sense! I was frozen by the jingle my keys at the door/As I got outside I smiled to the dog. I’m so happy that Estonia selected such a lovely, subtle song. I hope they do really well this year! I have no idea who’s going to make it to the final–excitement! Goodbye to Yesterday actually WAS jury’s decision as well, but only by a slight advantage of one point, while televoting was overwhelming, giving them 79%. Grande Amore wasn’t jury decision, was televoting decision like Goodbye to Yesterday was. This song may be The Winner in Vienna, no doubt!!! Really happy, we have had a rough start with the entrees for Vienna but now it is getting better and better. Iceland made a big impression in a lot of people. after that, Italy did so too. Lithuania is loved by a lot of people too and Estonia is rated very high too. The spirit and competition is growing! I CANT BELIEVE WHY THE JURY DONT SEE THAT GOOD BYE TO YESTERDAY WAS THE BETTER OPTION AND THE FAVORITE OF EUROPE AND THE ODDS PLEASE WAKE UP MUSIC EXPERTS OF ESTONIA. Estonia has a very good song. Italy remembers me France 2011, first in bets but you know the real end. I LOVE THE SONG BUT ITHINK THEY MUSY HAVE A BETTER PERFORMANCE, SHE NEED A 50´S DREES AND BE MORE FEMENIN OVIOUS (Coqueta ovia en español) and not all time in black and white, the ligths will be impresionants in the stage they must to used them. AMO LA CANCION PERO DEBE SER MENOS SOBRIO EL SKETCH NO SE PONER UNOS MUEBLES UNA TC VIEJA, EL PERRO EN ECENA SERIA INCLEIBLE. Best song chosen so far, could be this years winners. The common linnets are clearly a inspiration for a lot of artists i guess, which i think is great. I love duets. I’d like to compare ‘Goodbye to Yesterday’ to this 2008 gem from Dansk Melodi Grand Prix which was largely overlooked back then. What can i say, another bland pop song that goes well with Eurovision audience wins again. After all the hype, I think “Goodbye to Yesterday” is kinda overrated. Still I think “Unriddle Me” was the best option among all of them. I like it. Kinda old timey. But Italy have a masterpiece. Did you watch the official video for Grande Amore?